Beautiful woven detail and Born comfort will have you reaching for the Maple over and over again. 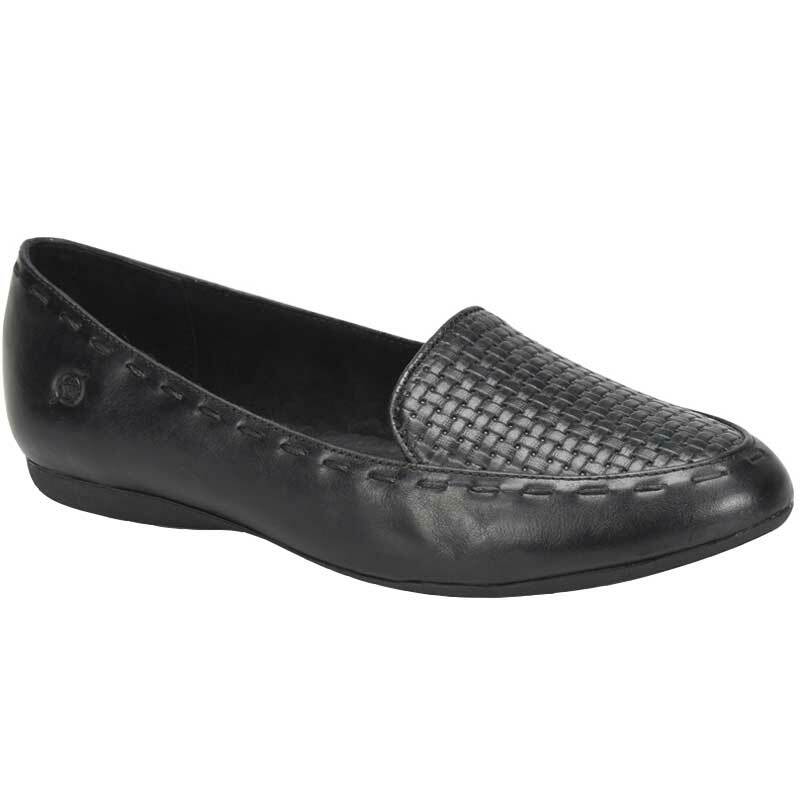 This women’s slip on has an upper made of premium full-grain leather with a woven-look top and detail stitching. An inviting leather lining wicks moisture away from the foot and Born’s Opanka construction offers a lightweight and flexible fit. The insole of the Maple is leather covered and generously cushioned and they are finished off with a durable rubber outsole that provides both traction and underfoot protection. You’re closet just got another staple with the Maple slip-on from Born.